Many consumers are also still failing to protect themselves online. British firms are upping their online security protection in the face of more threats than every before this holiday season. New research by Infoblox has found that nearly two-thirds (63 percent) of UK retailers are upping their cybersecurity this Christmas in preparation to deal with online attacks. The most common threats reported by retailers included unpatched security vulnerabilities (mentioned by 28 percent of respondents), unsecure IoT devices (21 percent) and even online consumers themselves (25 percent). The report found that UK customers were often more carefree with their security than those from other countries, with just one in five taking no proactive action to protect their data online. UK retailers also reported a rise in social engineering attacks during the holiday period, with just over a third (34 percent) encountering such a scam. 15 percent of UK firms reported social media scams, 12 percent had suffered a DDoS attack, and 10 percent had been hit by ransomware. British businesses are now planning a number of security upgrades to keep themselves protected, with artificial intelligence (43 percent) leading the way as the technology most likely to be implemented within the next year, followed by IoT devices (35 percent), fourth screen technology (24 percent), Omni channel technology (23 percent), and augmented reality (17 percent). 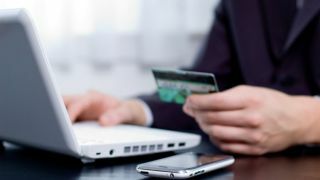 "The level of online shopping activity always increases significantly during the holiday season, and can provide rich pickings for the opportunistic cyber-criminal, so it’s no coincidence that more than half of retailers will increase their cybersecurity spending during their most prosperous and dangerous time of year," said Gary Cox, Technology Director, Western Europe at Infoblox.